The Perfecto is truly the perfect shape. Tapered on both ends, you get a cigar that lights easy, and smokes big without having to wrestle with a huge ring gauge. The perfecto ligkts easy because the but end is tapered exposing only a small portion of the filler. You need only light that area, and the cigar does the rest. 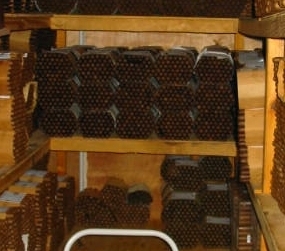 The interior is the same Cuban seed Seco, Ligero, Olor Dominicano, and Nicaraguan highlights as our Natural, but covered with a sweet and spicy Brazilian Maduro wrapper. Binder is Dominican. 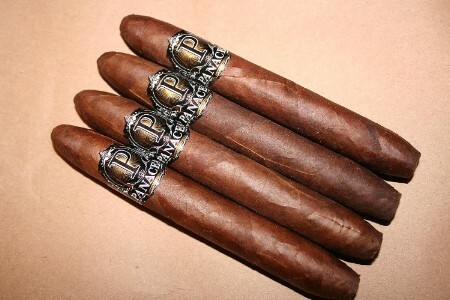 This cigar, like our pioneer cigar, is exquisite. You'll enjoy the same creamy, rich, smooth smoke with a slightly sweeter pallet and a hint of spice. You will love this cigar. Try 4...then you will be back for a box! Just a great cigar, on or off the golf course. Flatbed is my favorite cigar brand. Enjoyed this Maduro wrapper. Nice, consistent taste of light molasses throughout the entire cigar all the way to the end. I found myself holding on longer than usual. Never did I get that hot sensation you taste in many cigars. This is a perfect cigar for someone who likes a milder cigar with some character. As with all of the Panacea cigars, this one has never disappointed me! Smoke it if you got it... if not, buy one!! !